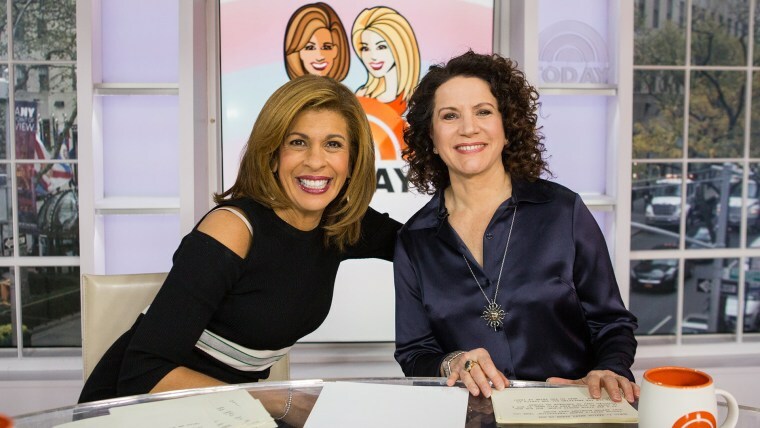 Susie Essman’s lovably foulmouthed “Curb Your Enthusiasm” character, Susie Greene, has long been a fan favorite, with her penchant for expletive-filled rants and over-the-top outfits. And when Essman recently visited TODAY to talk about returning to “Curb” for its much-anticipated ninth season (which wraps Dec. 3), we caught up with the comedian for our Morning Routine series to find out how she starts her day — and whether Larry David is a morning person. What's your typical breakfast when shooting “Curb”? A couple of well-done scrambled eggs. Huevos rancheros, or something like that. Usually, we have our coffee and then we’re lying in bed after the dog’s out. The dog gets to come on the bed — that’s his favorite thing — and then we both read the New York Times on our iPad, and have "Morning Joe" on in the background. When do you get to work for “Curb”? It depends on what my call is. Sometimes it’s really early; sometimes it’s the afternoon. Does the “Curb” cast have any morning rituals? You’re in hair and makeup, and we’re always gossiping in the makeup trailer — I guess that’s our morning ritual. Usually, we’re talking about sports. How do you psych yourself up to play Susie? I have to focus. I have to really focus. I put on the outfit. That’s the first thing I do. I put on those crazy Susie Greene outfits, and then I just become her and I focus on … if it’s an angry scene, I’ve got to get myself revved up. But I’m so used to her after all these years, I know her so well that I can just become her pretty quickly. Is Larry David a morning person? Larry is amazing. Larry has stamina like I’ve never seen on somebody. I’ve never seen Larry be grumpy, ever. Morning, afternoon, after we’re shooting a long, long day, I’ve never seen him be grumpy. What’s your beauty routine? You've been sporting a new straight hairstyle this season. I don’t do it; hair and makeup do all that. But if I’m not working, my morning beauty routine is very simple. I just do a little undereye cream and a little moisturizer — that’s it. And then I usually put on sunscreen — a lot of different brands. Right now I’m using a brand called Farmacy and I like their night cream, especially. If I have to leave the house really early. I like slow mornings. I like quiet, reading the paper, just slow mornings. If I have a really early call and I have to be somewhere really early, it just throws my day. What do you think Susie Greene’s morning routine entails? Her morning routine has to do with trying to figure out how she can catch Jeff and Larry in their lies.